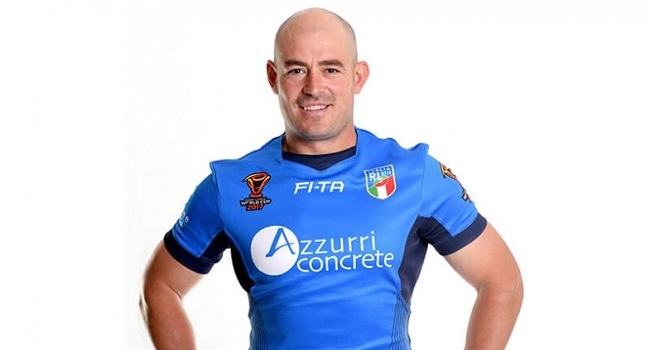 Italy have named Raiders legend Terry Campese to return from a calf injury for what will be his farewell appearance at Canberra Stadium against the Vodafone Fiji Bati in Friday night’s must win Rugby League World Cup match. After helping Italy to qualify for the World Cup, the former Raiders captain has been targeting Friday night’s match in Canberra and Campese captain-coached Queanbeyan Blues this season upon his return from a stint in Super League with Hull. He has been a late withdrawal from Italy’s first two World Cup matches against Ireland and USA but is expected to play on Friday night and was named by coach Cameron Ciraldo at five-eighth, enabling James Tedesco to revert to fullback for the must win clash against the unbeaten Fiji. Dual international Mirco Bergamasco, who played 89 rugby union Tests for Italy before switching codes, has been included in the 21-man squad. The match kicks off at 9.40pm on Friday. In other matches this week, New Zealand plays Tonga at 5pm on Saturday after which Samoa plays Scotland at 7.15pm while Australia plays Lebanon at 10.05pm. On Sunday, Papua New Guinea hosts USA at 6.05pm, Wales battles Ireland at 8.35pm while England faces France at 11.05pm.